When Parsec Productions burst onto the scene with a little indie title called Slender (or Slender: The Eight Pages), the studio received a great deal of acclaim for its small-scale ingenuity and all-around creepiness. Now, in conjunction with Blue Isle Studios, Parsec has expanded the original adventure into a polished, five-level game. 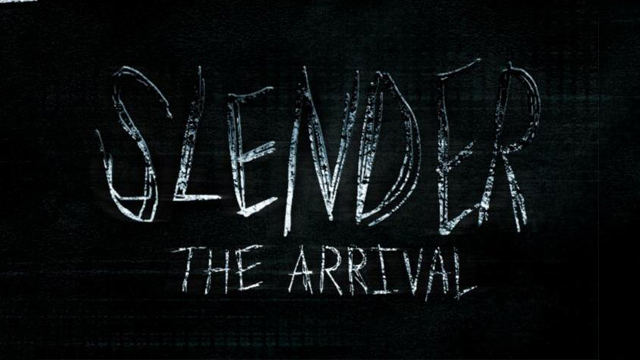 The updated graphics and expanded plot, however, don’t serve to replicate the game’s original appeal, as sporadic storytelling and general lack of fun-factor bring Slender: The Arrival down. In the new game, you’re cast as Lauren, traveling to an isolated house in the forest. Your mission is to find Kate, who, as you learn through in-game letters, has been haunted by an entity you discover to be Slender Man. The quest for your childhood friend takes you through a few different locations, most of which require you to complete a prescribed number of tasks while avoiding Slender Man. The story is nicely tied together, which is commendable as most everything is done through letters and signage, but it’s not altogether engaging. This can be accredited to the fact that the major storytelling moments are found outside of the main action of the game, which pushes them apart from one another temporally. In contrast to its predecessor, Slender: The Arrival is a pretty game. We’re not talking state-of-the-art graphics technology here, but if your PC or Mac can run it at its highest settings, you’ll likely be surprised with how pretty the landscapes look, especially during the few brief periods of daylight the game offers. Equally impressive is the game’s sound design, which includes phantom footsteps, eerie whispering, and some foreboding, downright-terrifying motifs. As in the past, Parsec has also taken great advantage of the game’s dark nature to enhance the fear inherent to the experience of walking in the woods at night. At least for a little while, that is. One of the biggest problems with Slender: The Arrival is that the terror wears off, making way for frustration. For example, when playing the game’s second level, “The Eight Pages”—based on the entirety of the original game—you’ll likely be terrified as you sprint around the woods trying to collect eight notes and evade the deadly gaze and embrace of Slender Man. This feeling will probably persist for a while, but unless you’re incredibly patient, you’ll soon find frustration with the total randomization of the pages’ locations and Slender Man’s occasionally unfair behavior (he will, at times, pop up right in front of you, making it impossible to escape). In many ways, the game feels less like an exercise in trial-and-error and more like a gauge of your general luck. The subsequent two levels present similar challenges (turning on six generators in a mine and closing as many doors and windows in a house as possible, respectively), and while these are a little more straightforward than traversing the pitch-black woods, their inclusion right after a similar, more maddening challenge adds to the tiresome experience. I won’t say the game isn’t scary; there were certainly times when I wanted to jump in my bed and pull the covers over my eyes. But after the initial fear factor—and with the extensive number of re-tries it takes to complete some of the levels—you’ll likely find yourself more aggravated than terrified. To their credit, Parsec and Blue Isle did travel down some interesting routes in expanding the original game. For instance, level three of The Arrival introduces a new foe, as well as an indoor environment that calls back nightmares of Penumbra. The new enemy, known as “the Proxy,” appears as a child-like creature, bent on eating your face off. Instead of simply avoiding him like Slender Man, your best defense as the beast sprints hungrily toward you is to focus your flashlight’s beam into its beady, homicidal eyes. Perhaps the biggest problems with Slender: The Arrival are that its predecessor was free and, more importantly, true to itself. The Arrival certainly has shine, and it teases at some interesting ideas, but the overall experience falls short of its potential. If you were a die-hard (repeat, die-hard) fan of the original game, consider dropping $10 on its expansion. Otherwise, maybe wait to see what Parsec and Blue Isle come out with next.